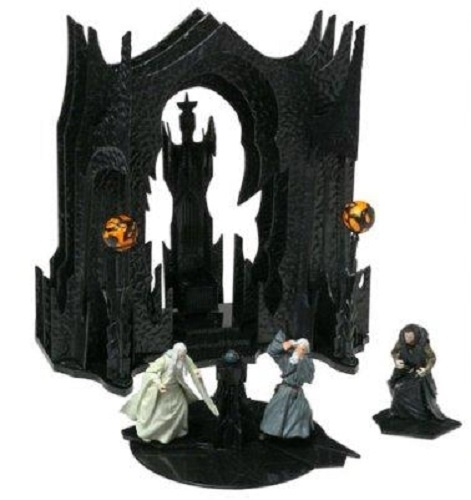 Lord of the Rings Armies of Middle Earth Orthanc Chamber at Isengard set includes Gandalf the Grey, Saruman the White and Grima Wormtongue. Saruman's inner sanctum rendered in breathtaking detail down to the chiseled obsidian textures and Palantir altar. 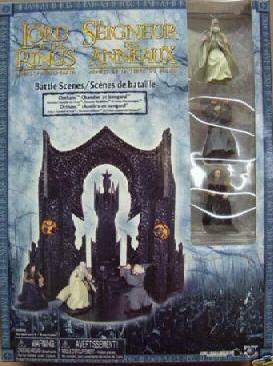 Includes Saruman the White with four points of articulation.